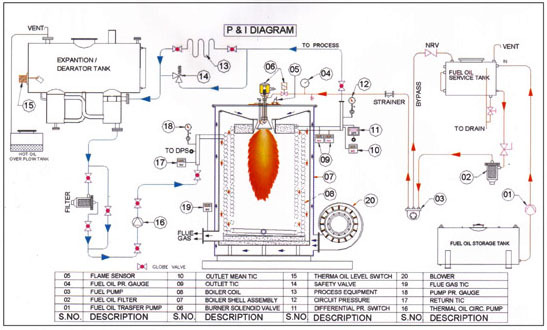 Thermal Oil Heaters, Thermic Fluid Heaters, Electric Thermal Fluid Heater, Oil And Gas Fired, Solid Fuel Fired, With Air Preheating, Fully Automatic, Manufacturer, Exporter, Supplier, Pune, Maharashtra, India. Majorly we export products to customers from Gulf, Asian & African countries etc. SUPRATHERM is a Coil Type Vertical Thermal Oil Heater. It is also available in Horizontal Type. Range- 50,000 kcal/Hr. to 5,000,000 kcal/Hr. • Due to larger Heating Surface & efficient Burner we get High Thermal Efficiency of 87%+ 2.